It’s no secret; everyone wants their Golden Years to be a happy time. And when it comes to our retirement, a firm sense of financial security is bedrock from which happiness can blossom. While we financially (and personally) plan for this phase of life during the years and decades before it ever happens, the many questions and considerations involved can make the whole process seem daunting. But, it doesn’t have to be. As you wade through thorny retirement issues to determine how best to make your money work for you, consider my list of the top nine retirement planning guidelines. You may already be able to check some of these tips off of your retirement to-do list. If so, I say, “Great!” Still, there may be other areas that you still have questions about or haven’t considered yet. 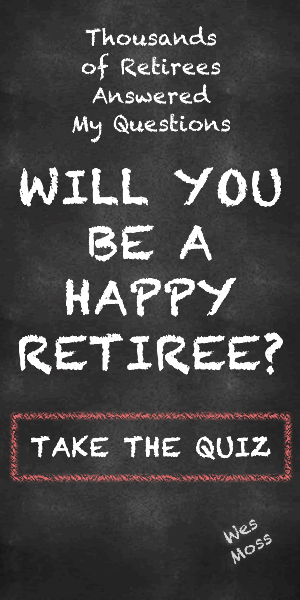 Read on to get a broad view of how you can plan for your own comfortable and happy retirement. 1. Lifestyle – Keep your sights on what standard of living you’ll want to have during retirement, and then do a reality check. Is your vision feasible given your financials? If your view is of maintaining the same living standards as during your working years, then you should be A-OK. That’s because, even though your regular paycheck may stop, you’ll cut the “savings” line item from your budget, giving you more breathing room. 2. Social Security Benefits – Don’t sniff at your Social Security (SS) benefits; they are real money that will supplement your income each month. Bear in mind that SS is designed to do just that – supplement. With proper planning, you should have other steady streams of income, too – like investment income, rental income, a pension, or part-time work – contributing to your overall bottom line. 3. Save – Remember that you can’t take out a loan for retirement. So, it’s critical that you prioritize saving for these years over paying for things like a vacation home or college tuitions. Unless you have a fat pension (and who has those these days? ), it’s up to you to save as best you can. And, we only have one shot at getting it right. 4. And Save Some More – Since we’re talking about savings, let me share that you should be saving as much as possible, as soon as possible. Trust me, you want to take advantage of the power of compounding, and this comes from being in the savings game for the long-term. It’s always an option to reduce your savings rate later if it becomes too much of a strain; trimming later is easier than playing catch up. 5. Stay Informed – Make sure you pay attention to deadlines – don’t miss them, because whether from your employer, Medicare, Social Security or others, they’re important. Plus, what you don’t know can hurt you; if you miss a deadline, you could pay the price financially. 6. Health Care – Understand that during retirement health care will become a fixed expense. When you’re no longer getting employer-sponsored health care, you’re on your own. Don’t assume that Medicare is free and covers everything, because it doesn’t. While it does cover hospital care, you must enroll in Part B to get your doctor’s visits covered. So, Medicare plus supplemental insurance can cost a retired couple over $700 a month, and premiums will likely increase each year. Add in prescription drug costs to your budget, too, as these can also be a large expense. Better to have an overage of money each month than a deficit, and planning is everything. 7. Estate and Financial Planning – Can you answer the question, “What’s next for my money?” If you’re thinking, “Wes, I’m going to spend it on a happy retirement!” I hear you. But, it’s also important to plan where you’d like your money to go after you pass away. Make sure that you have a solid estate plan in place that provides for your spouse, adult children, grandchildren, or anyone else who depends on you financially. A financial plan is also good to have in place, with things like income investment streams, income annuities, and life insurance. 8. Don’t Forget to Have Fun – Raise your hand if you know what “core pursuits” are. These, my friends, are the bread and butter of how you’ll spend your happy retirement days. Core pursuits are the activities and hobbies that you love to do and do often. Research for my book, You Can Retire Sooner Than You Think, shows that the happiest retirees have 3.6 core pursuits, on average, while the unhappy lot have only 1.9. So, discover what your passions are, and get to doing them! 9. Income Investing – Retirement is similar to your working years in that you want a steady flow of income. Through income investing, you can provide yourself that steady “paycheck” through holdings such as stock dividends, bond interest, or similar types of assets. These payouts are nice additions to your other income streams and can help boost your bottom line.